If you've been searching for that right spot which positions you in an area for explosive growth...check this listing out. If you�re looking for a �turn-key� national franchise restaurant opportunity; with a growing customer base, great food, and lots of potential upside; this opportunity is ready to go! This is a national brand with This is a quick casual Mexican food concept situated in a center with Home Depot, surrounded by heavy daytime users; industrial parks, office complex, and residential. Customers frequent this restaurant for its food quality, flavors and freshness delivered on a consistent basis. Sale includes the paid franchise license ($20K fee). This location is in a 1300 sf space, with 8 years remaining on the lease with a base rent of $3627; plus CAM, taxes and insurance. Add catering to all the businesses surrounding this restaurant location and beer & wine to boost sales. 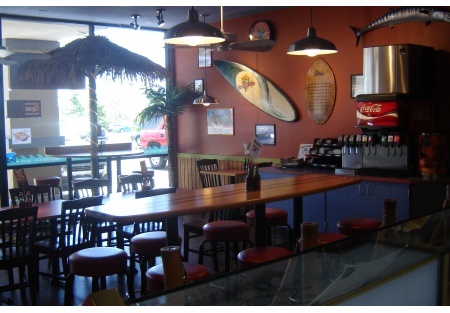 National franchise with over 200 locations is located in the North County area. Centrally located among Large Box Stores, industrial parks, office complexs, and residential area. Sale includes the paid franchise license ($20K fee). This location is in a 1300 sf space. 8 years remaining on 10-yr lease with a base rent of $3627; plus CAM, taxes and insurance. The key employees are in place if desired. High food quality, flavors and freshness delivered on a consistent basis. Possible conversion to your own concept.